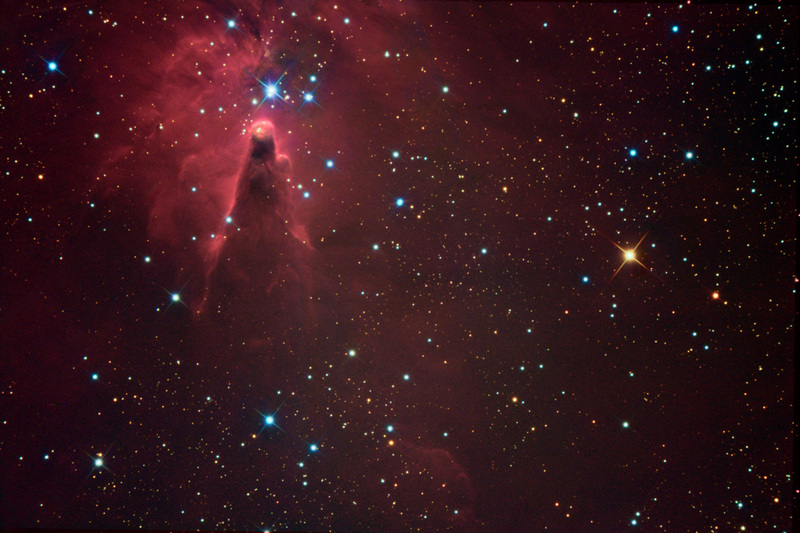 Description In this orientation, it is easy to see why the Cone Nebula is also referred to as the Madonna with the Child. Part of a very busy area in the Milky Way, it lies just south of the Christmas Tree Cluster with the Fox Fur Nebula and adjacent to Hubble's Variable Nebula. North is up (352°) in this 25 x 37 arcmin field of view. Click on the image for a larger screen resolution.